University of Wisconsin–Madison engineers have developed methods to observe gene editing in action, and they’re putting those capabilities to work to improve genetic engineering techniques. 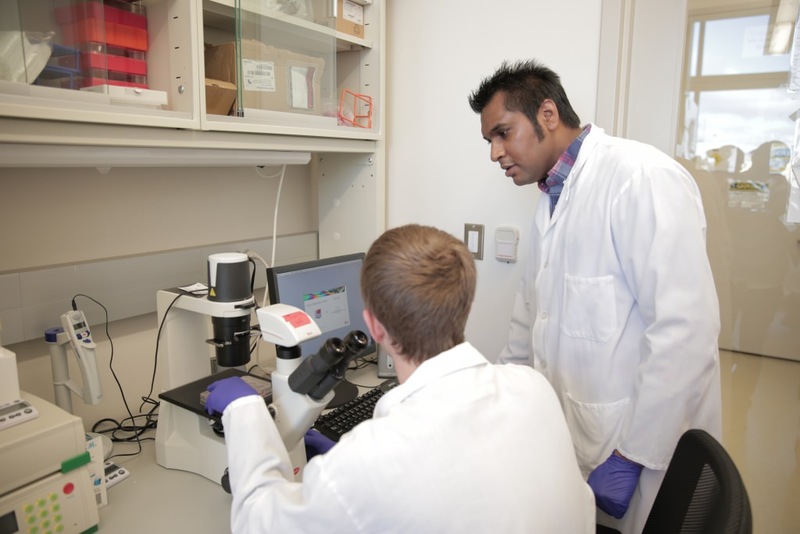 “Ultimately, the knowledge we gain from this project has the potential to set the foundation for new preclinical platforms in precision medicine,” says Krishanu Saha, an assistant professor of biomedical engineering at UW–Madison and the principal investigator on the project. A new technique called CRISPR-Cas9 gives researchers the ability to make changes to the DNA of, theoretically, any living organism that has DNA. “CRISPR-Cas9 lets researchers rewrite the genome in a very precise manner,” says Saha. That precision is particularly meaningful for treatment of diseases caused by well-known faults in genes — otherwise incurable diseases such as sickle cell anemia, the fatal lung disorder cystic fibrosis, and the blindness-causing Leber congenital amaurosis. CRISPR-Cas9 could be a way to prevent or reverse those disorders. But one of the hurdles between CRISPR-Cas9 research and the clinic is that much of what actually happens inside cells while the tool makes its edits has been mysterious. With support from a $1.8 million grant from the National Institutes of Health (NIH), Saha could bridge that gap and help pave the way for personalized treatment for genetic diseases. His lab has already found one method to illuminate the inner workings of gene editing, developing a way to label parts of cells and CRISPR-Cas9 in such a manner that they may observe important changes occurring while genome-editing happens in real time. The researchers will use those techniques to monitor CRISPR-Cas9 as it works inside cells in petri dishes that mimic tissues from real patients. Drawing on their expertise with stem cells to make model organs in which to test different genome-editing strategies, Saha and collaborators will investigate multiple approaches to correcting the problems for several genetic diseases in numerous different types of tissues. 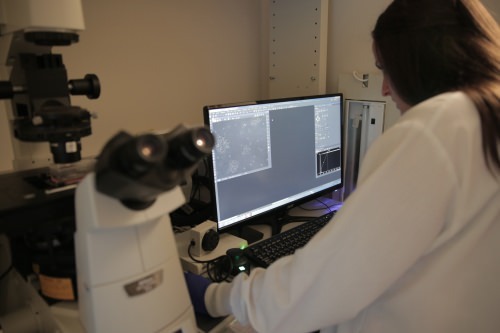 Saha’s work is supported by a relatively new type of grant from NIH, the Maximizing Investigators’ Research Award, that aims to boost scientific productivity and innovation by providing both greater stability in funding and more freedom to pursue revolutionary research. Saha is one of 93 promising young investigators nationwide identified for the transformative potential of his work.